I don’t care that I should be working right now. 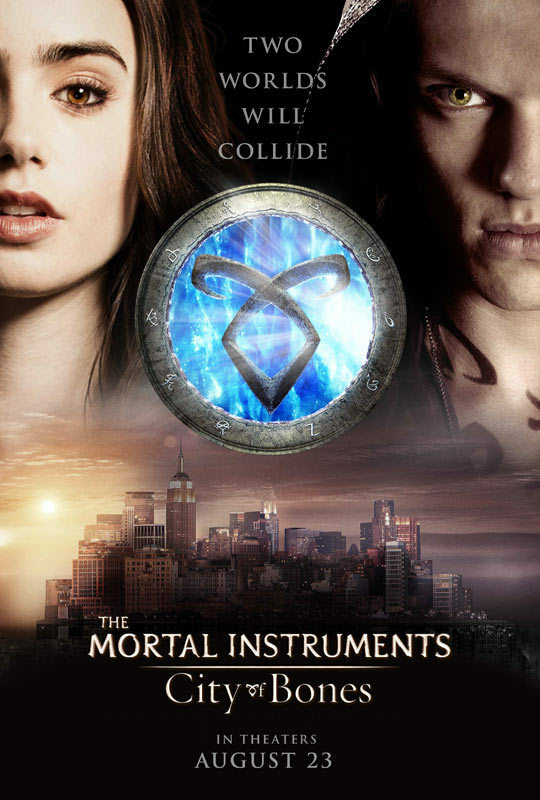 The trailer for the City of Bones trailer came out around an hour ago and I am TOTALLY TALKING ABOUT IT. So here’s my thought process right now. As a trailer I don’t think it’s that good. Not the content, just how it got put together. Like the music in the middle, I really don’t like how it switches from the really epic music to the pretty low-key bass, and then back to really tension building, suspenseful music again. A bit random. And some of the cuts between the scenes seemed very… Obvious? I’m not sure, I have no idea how making trailers or movies works, so I might be completely wrong, it just seemed very sewn together. The content, however, that is a whole other story. Jamie Campbell Bower, I am so surprised by how Jace-y you seem to me now, because I really did have my doubts. Once I got over the fact that you have a british accent, as I read the books for three years thinking Jace was american, I really liked you. And you seem very dedicated to the books as a fan, so I automatically have to like you. Lily Collins, still in my mind a perfect Clary, even if she’s not what I envisioned Clary to look like when I was reading the books (I imagined a kind of short, pixie-like girl with very orange toned hair that ended below her chin, though honestly if they’d cast someone looking like the Clary in my head it would never have worked, since she would probably look thirteen). The guy who’s playing Simon off Misfits (I cannot remember his name… Robert Sheehan? According to google…), I am almost sure that he’s going to be a perfect Simon. I think I like Alec, even if he really is nothing like I imagined him to be. But we still haven’t seen that much of Alec other than discussing Jace’s love life, so we’ll see. And I already love Isabelle, as soon as I saw her shove that guy, I was like hell yeah, Isabelle is going to be awesome in this, and the actress is actually dead on what I thought Isabelle was going to look like. 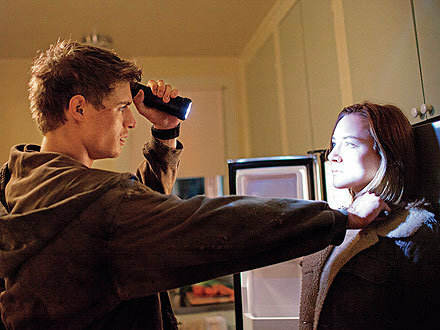 We’ve seen like one glance of Luke, so I can’t judge, and Jocelyn is good, from what I’ve seen. Also, side note, that shot we see for like a second of Clary surrounded by the… (crap it has been a really long time since I read a Mortal Instruments book)… symbols – Yeah, go on, tell me I’m a terrible person I know – that shot is really cool. Iratze? No idea. All the sets and costumes seem perfect so far, and I do like this entire tone they have for the movie, even if I still haven’t heard Jace crack a single joke yet. Hopefully they’re saving it for the full movie, I don’t know if I can take an entire movie of just Angsty Jace. So yeah, I need to publish this so I can go do something productive. I did not realise how excited I am for this movie until now. Still not as cool as the first one, but you know, it’s cool and stuff and wow Jace has gold eyes I feel like that should mean something to me but I really can’t remember anything from the books. 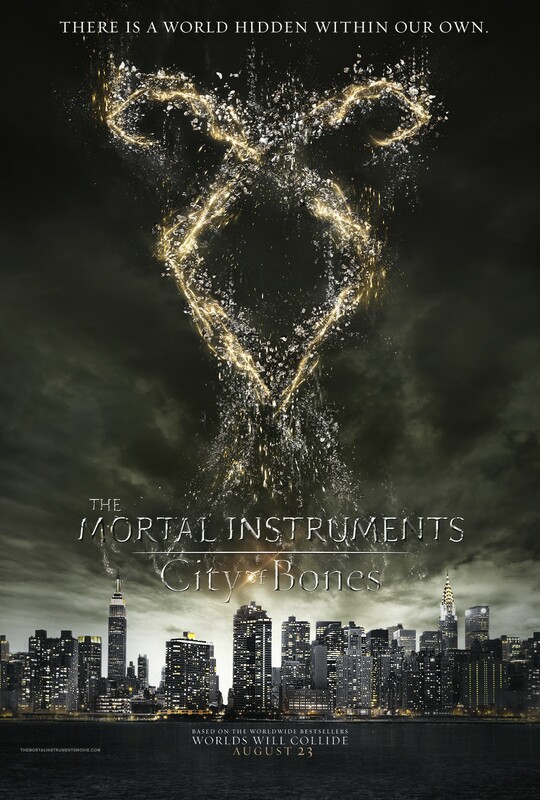 I do like how this one kind of mimics the City of Bones book cover (oh god they won’t release movie covers for the books will they? Though, I might be ok with that for this particular adaptation seeing as the posters are really pretty). To be honest, guys, the trailer isn’t that interesting. Though, since they’ve only be filming for about a month it’s not going to be particularly exciting. Wanda narrates about the invasion and random pictures of people pop onto the screen, all with glowing eyes. Then Melanie/Wanda’s face slowly comes into view with glowing eyes, and the HOST can be seen, with the O showing the same glow as before. And there isn’t any footage, but I wasn’t expecting any. I was surprised that there even was a trailer. So, it’s cool. And I’m really looking forward to seeing the movie. Some pictures have been published showing scenes from the movie.I really do like all the actors they’ve got for this. To be honest, I only really know Saoirse Ronan, who is an awesome actress, as I haven’t been following this as much as I obsessively did for the hunger games. But all of the cast will hopefully be great, and Jared looks perfect in the shots.I really hope they make this good for two reasons. One, because the twilight series have made a bunch of pretty bad movies. I really don’t like them. I found it so hard to get through watching twilight. Maybe it’s because the storyline was so… meh. And everything was so…. meh in the acting, and the entire pace of the movie. It made a good book, but a movie? Nah. And I really want Stephenie Meyer’s reputation to go up as an author. Just because the twilight movies weren’t particularly good (in my opinion), doesn’t mean the Host has to be so meh as well. So, yeah. That’s my update about the Host. This movie is coming out March 29th 2013. So hopefully I’ll have more news for you soon, but for now, bye!!! !